Former Indian captain MS Dhoni has become the fifth batsman from the country to reach the landmark of 10,000 ODI runs. The 37-year old accomplished the feat in the ongoing first ODI at the Sydney Cricket Ground. While he had completed 10,000 ODI runs last year at Lord's against England, 174 of those runs had come in an Afro-Asian Cup back in 2007. 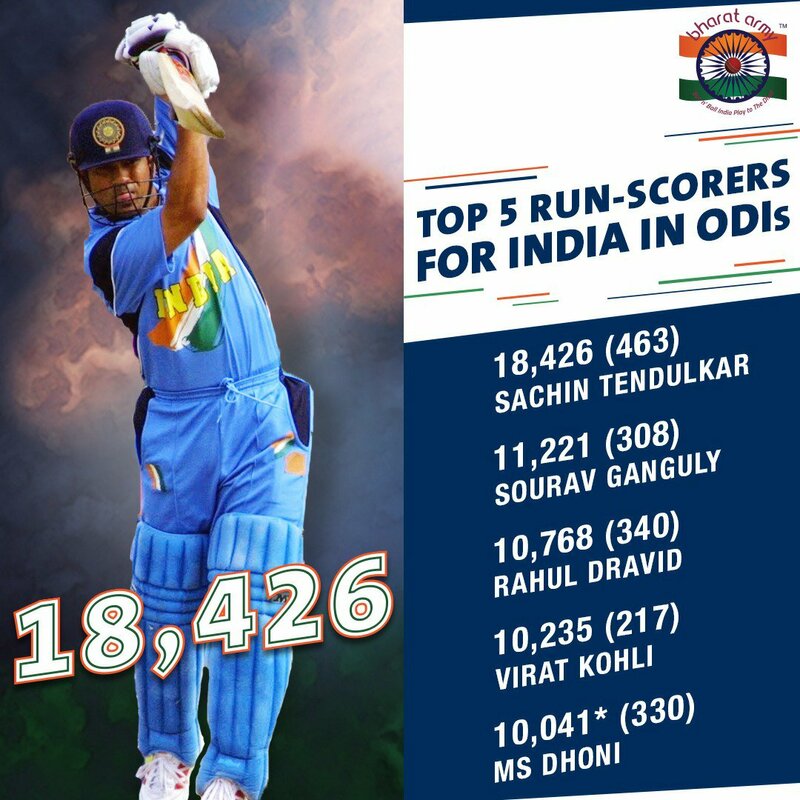 Since those three matches were given the ODI status, the runs were included in Dhoni's tally. Including the Sydney ODI and the Afro-Asian Cup, Dhoni has now played 333 ODIs and scored 10,215 runs overall at an average of 50.32.